Need to torque up in a Class 1 Div 1 Area? No problem. We know you can’t always do things where you want to. Sometimes you have to do what needs to be done right where it is. You’ve always needed a way to get it tight in the cellar, right? 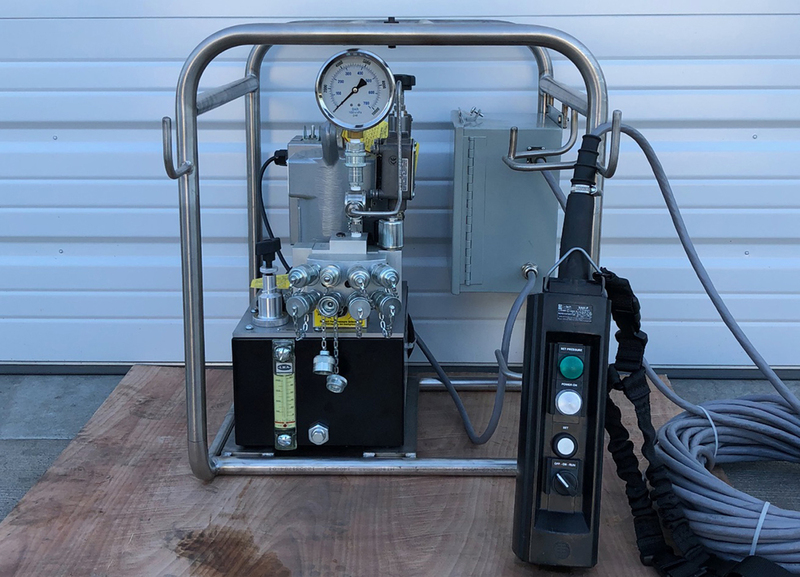 Well now you can do it safely with a hazardous area rated controller for your hydraulic torque tool. 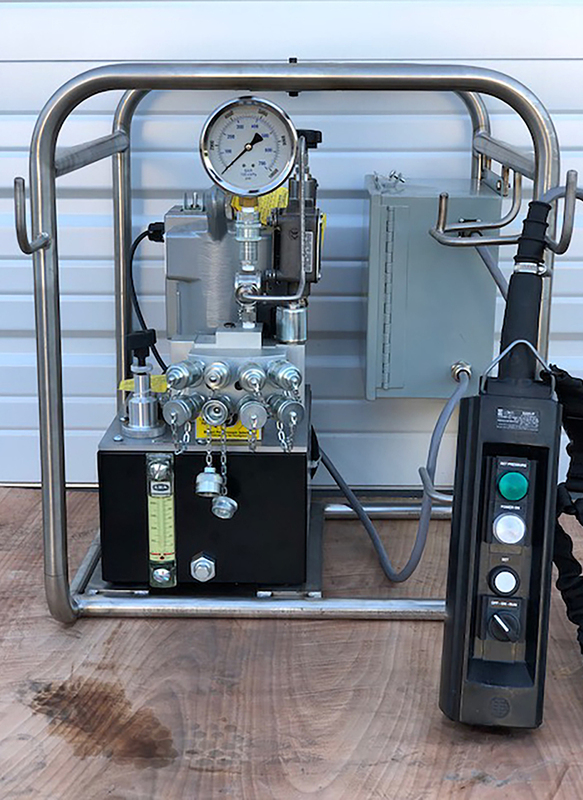 With Empire Torque Tool’s new intrinsically safe controller system, you can get it tight with the pump in a safe area and the remote controller right with you next to the work. Complicated? No. The pendant works just like the non-rated pendant you are used to using. But the pendant also provides feedback so that you know the pump is powered on and at maximum torque. How is this done? Same as normal. The pump and controls are placed in a safe area and the pendant and torque tool head are taken to the hazardous area. The tool is operated just like you normally would with the old-style pendant. How do we get effective remote operation? Simple. The pendant’s controls still include reset, off, run and start as usual. With the addition of two lamps on the new pendant, the operator can also tell if the pump is on and if the final torque is being applied—just like hearing the pump running and watching the gauge. When the technician sets the pressure for the pump output, a simultaneously adjustment is made to control the green light pressure indicator. A white lamp on the pendant indicates the pump power is on indicating that the pump and pendant are ready to go. A green lamp on the pendant indicates when the tool is providing the maximum torque pressure as set by the operator. When the pump is at full set pressure, the green lamp will come on. The pendant is ruggedized and designed to be used where you need it. Now you can safely operate the electrical controls and get the work done. Call us today at (281) 796-1516 to get the industry’s first-ever solution that lets you use our industry-best torque tools safely from a hazardous area. © Empire Torque Tools | All Rights Reserved.